This website uses own cookies and third party cookies to ensure optimal functioning of our website and to analyze the use of it. Please click "Accept" to agree to our cookie settings or to "opt-out" to disable the unnecessary cookies. Under "Your Settings" you can change the selected setting at any time. "Data protection". What is a cookie? : Cookies are text files that are set on the user's device (computer, phone, etc.) browser when they visit the site. Upon re-visit the site, the provider will get an insight into the data on the user's equipment that was collected using cookies. analitics Enable/disable google analytics 1 Year The value of the cookie may be true or false, depending on whether we have Google Analytics turned on for you or not. Here you can change which cookies you allow and which ones do not. Click on the "SAVE" button to make sure that our website remembers your settings. - Blessing on our emotions. - Promotes healthy skin appearance. Cedarwood essential oil is known for its rich, warm, woody scent and has many good properties.Cedarwood is indigenous in cold climates, which grows at high altitudes and grows up to 30 meters (100 feet) in height. Depending on its size and power, its aroma arouses feelings of well-being and vitality. In addition, Cedarwood essential oil is often used in massage therapy to relax and calm the mind and body. 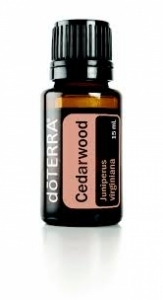 - After a hard day, add the Cedarwood into the diffuser to create a relaxing environment. - During facial care, add a drop or two in the moisturizer, as this will further clean the skin and ensure a healthy appearance of the skin. - Drop a drop or two onto a cotton ball and place it in the closet, thus disposing of annoying mothers. Possible skin sensitivity. Keep out of the reach of children. If you are pregnant, breastfeeding or if you are under the care of a doctor, contact your doctor. Avoid contact with the eyes, inside the ear and sensitive areas. Essential oils are not medicines, and as a user, I can only advise on the basis of my experience and the experience of others who got help with any problems with essential oils. I do not make any diagnosis or prescribe any medication. I am not responsible for the possible consequences of improper use. The rule is: Less is more! We LOVE Essential Oil is a portal for essential oils, which was established in 2017 with a vision of increasing the visibility and presentation of the diverse possibilities of using essential oils. Our mission is to present essential oils both at home and abroad from the borders of Slovenia and Europe. Presentation: Your contact information: !info! Personal Data Protection: By clicking on the "Submit" button, you agree that the information entered to the cancellation of foods is exclusively for your own records. At the same time, you agree that we can contact you on the subject line or telephone. We commit to never transmit information to anyone outside of our company and to conscientiously feed them. Whenever you can tell us at info@weloveeo.com, we will delete all your information from the archive.